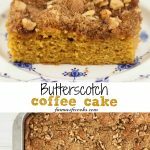 Are you looking for an easy coffee cake recipe? 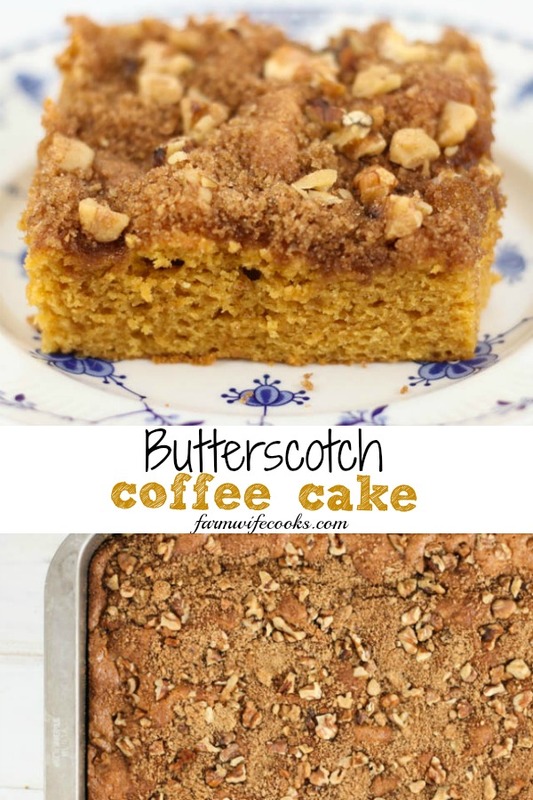 This Butterscotch Coffee Cake is so good and uses a cake mix making it quick to make! This recipe comes from the Gooseberry Patch 303 Simple & Satisfying Recipes Cookbook. This cookbook is actually three cookbooks in one! I am not a fan of coffee, I have tried to like it but I just can’t. 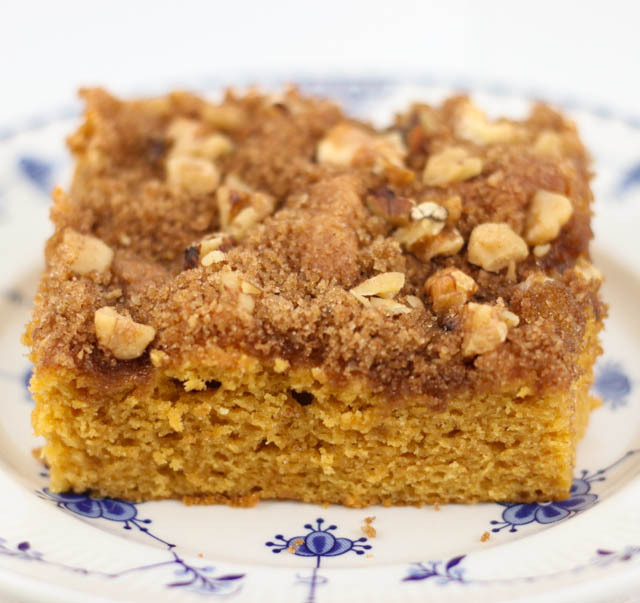 However, I have never met a coffee cake I didn’t like! 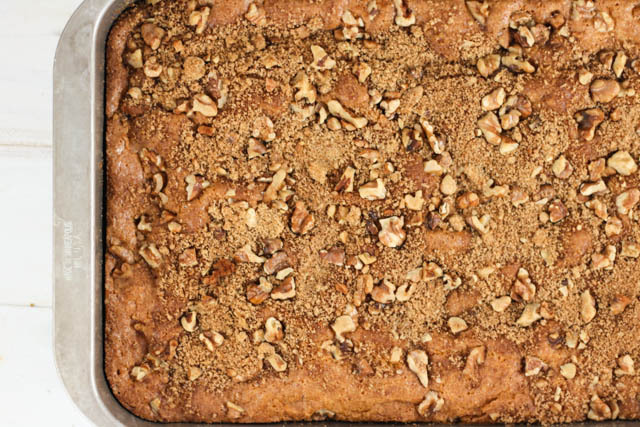 Sour Cream Coffee Cake, Banana Cream Coffee Cake, Crock Pot Coffee Cake, Caramel Apple Coffee Cake, I like them all and love to wash them down with an ice cold glass of milk! I love semi homemade recipes that start with a cake mix! So simple and easy. This recipe also uses boxed pudding which give it a yummy moist texture with just the perfect amount of butterscotch flavor. If you wanted to add more butterscotch flavor you could add butterscotch chips. The topping adds the perfect amount of crunch and sweetness. If you don’t have walnuts you could substitute pecans or leave the nuts out if you have an allergy or just don’t like them. This recipe comes from the Gooseberry Patch 303 Simple & Satisfying Recipes cookbook. With an electric mixer on medium speed, combine dry cake mix, dry pudding mixes, eggs, oil and water. Pour into a greased 9" x 13" baking pan. Combine remaining ingredients and sprinkle over cake. Bake at 350 degrees for 40 minutes, or until toothpick tests clean.